Travelling around the world inevitably throws up a plethora of weird and wonderful accommodation options: from 5-star hotels to the seemingly omnipresent Airbnb apartment, there’s something for all tastes and budgets. But what if you’re ditching your traditional vacation plans and heading for something a little bit more exotic this summer? In recent years thousands of travellers from the US and afar have descended on the East African nation of Tanzania; a country renowned for stunning landscapes and iconic wildlife. Although the landmarks and historical sites may be well-known, the accommodation options may not. From lodges to tented camps, we take you through the pros and cons of each accommodation option so you’re fully clued up before you jet off on your African adventure. A guesthouse or hotel is typically one large building where all guests share one roof but sleep in different rooms. A lodge is different because guests do not sleep under one roof; instead, they sleep in several buildings scattered across a broad expanse of land. The guestrooms (and bathrooms) are a short walk from the main building and are in the smaller buildings or cottages. A lodge has a number of amenities including commonly a restaurant, bar, a small swimming pool and even a small shop- all housed in the main building which is centrally located. Lodges vary in size and number of rooms which may remind you of either a hotel or guesthouse. A tented camp shares some similarities with a lodge. 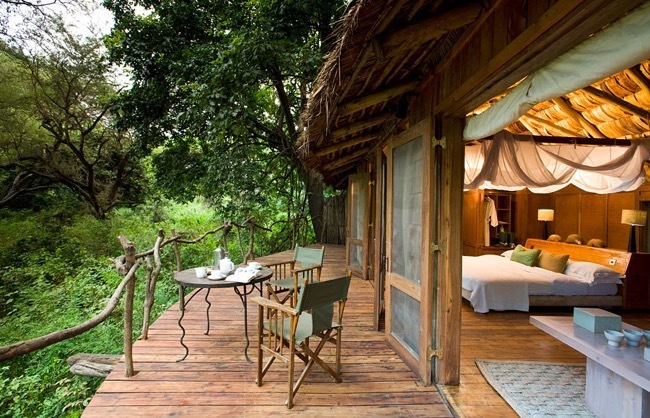 For example, you will only find tented camps in game reserves and National Parks, and not in a city. It also boasts a familiar set-up consisting of the main tent and guest tents. The significant difference between a tented camp and a lodge is that a lodge has concrete structures (either made of wood or stone); whereas, a tented camp comprises large safari tents. The safari tents are not the type you are accustomed to at outdoor campsites; instead, they are massive and spacious. In essence, tents are suitable for sleeping and living as they have ensuite bathrooms (hooray for a shower and proper toilets). You may even find a tented camp with a small terrace or a pool. Aside from the guest tents, there’s also the main tent to enjoy your meal, read a book, play a game or interact with other people. 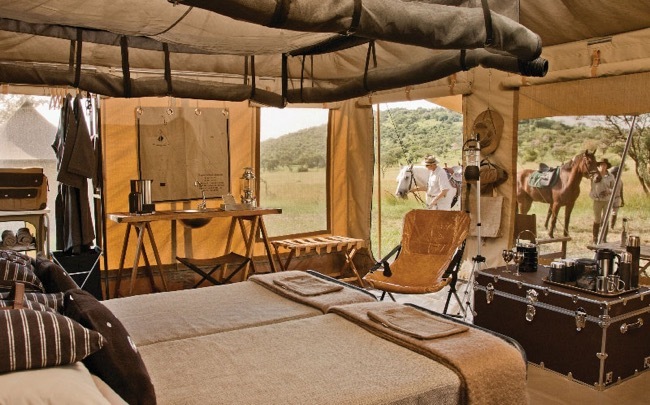 A tented camp gives you the opportunity to connect with nature without sacrificing your comfort. Tented camps vary in comfort as they range from basic to luxurious so it’s always wise to do some research at well-known safari travel sites like tanzaniaodyssey.com so you can find one that suits your taste and budget. Campsites offer the most basic facilities and amenities. The advantage is that you will have the most vibrant experience and feel as close to nature as possible. There are two types of campsites: public and private campsites. The public campsites allow you to camp in a location with other people. It usually consists of tents, an ablution block with showers and toilets, and a kitchen block where meals are prepared. Conversely, a private campsite gives you complete privacy as there are no other campers. A private campsite is usually situated on a bare field, cleared of vegetation, and with no permanent structures.